TED is a global community, welcoming people from every discipline and culture who seek a deeper understanding of the world. 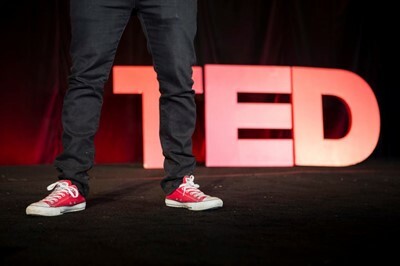 TED believes passionately in the power of ideas to change attitudes, lives and, ultimately, the world. On TED.com, they're building a clearinghouse of free knowledge from the world's most inspired thinkers — and a community of curious souls to engage with ideas and each other, both online and at TED and TEDx events around the world, all year long. In fact, everything TED does — from TED Talks videos to the projects sparked by the TED Prize, from the global TEDx community to the TED-Ed lesson series — is driven by this goal: How can we best spread great ideas? TED is owned by a nonprofit, nonpartisan foundation. The TED agenda is to make great ideas accessible and spark conversation.